What's Next: Is the Blockchain the Cure For Electronic Voting Concerns? Also this week, we look into plans for a national biometrics system, as well as Waymo ditching drivers (In California). What’s up, What’s Next readers? Hopefully things are starting to settle down a bit for you after the midterms. This week we’ll be looking at arguments for and against blockchain voting. Also, some of the wonkier news you may have missed in the midst of election fever, including Waymo doing away with drivers, a nationwide consumer biometrics database, and a proposed privacy law that could mean jail time for those that break it. But what’s up with you? Give me a shout—ilopez@alm.com or @IanMichaelLopez. 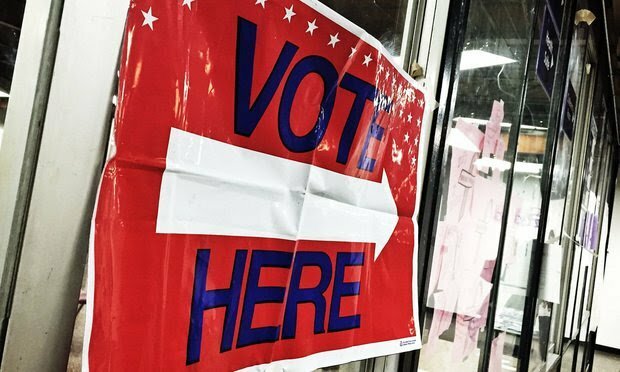 Block the Vote: Can Blockchain Curb Election Concerns? Online voting discussions seem to pop up every election cycle, but is blockchain making the possibility of a widespread internet voting apparatus more plausible? ➤ Takeaway: The technology for online voting is here, but our readiness to use it is a different story. Yet critics remain divided on when the time will come that voting will be as easy as calling an Uber. ➤ Privacy or Prison. Sen. Ron Wyden of Oregon is shaking up the conversation over federal data privacy standards by announcing a draft billthat could promise hefty prison sentences for execs that run afoul. In its current state, the Consumer Data Protection Act spells out FTC authorityto issue 10- to 20-year “criminal penalties” for senior executives, or a fine up to 4 percent of annual revenue for violations, as well as create a “national Do Not Track System” for consumers to stop companies from tracking them and collecting their data. But don’t get your hopes up yet, privacy thumpers. Ars Technica’s Jon Brodkin points out that given the “extreme penalties” and big business influence over congress, the bill is likely a no-go. But Wyden’s proposal could “make big fines and prison sentences part of the discussion” over privacy, something both Republicans and Democrats seem to be itching to have. ➤ Crypto ATM. Running short on Bitcoin and need it in a pinch? New Yorkers relying on Bitcoin ATMs may be pleased to hear that Coinsource, the operator behind such crypto cash vending, was granted a virtual currency license by the state’s Department of Financial Services this week. The license allows ATM users to stock up on bitcoin or trade it in for cash by scanning their mobile wallet. But the relationship with the Empire State is give and take: To get the license, companies need to quickly resolve consumer complaints and maintain consumer protections, as well as take steps to stop terrorist financing and money laundering. Dose of Dystopia: Is a Nationwide Biometrics Database Underway? So what are those services? The companies offer up a few examples in their press release, such as job candidates using fingerprints and facial recognition in accessing services and improved authentication measures for smart phones. But the idea of niche identifiers all under one privately owned, nationwide roof may sound the alarm for some privacy advocates. As Naked Security’s Danny Bradbury notes, “The worry with biometric authentication has always been that someone might crack it by replicating a person’s features,” citing an instance of a Vietnamese security company wrapping a silicon mask on a 3D frame with an infrared print of a person’s eyes to hack into Apple’s FaceID system to make his point. And while the companies are confident in their security capabilities—Robbie.AI claims weight gain doesn’t impact its facial recognition results—hacks are always a possibility, meaning there’s also a worry that the database itself can be cracked through other means. This sort of compromise isn’t unprecedented with nation-state attempts to collect citizen biometric information. The hacking of China’s Office of Personnel Management computers resulted in the lifting of over 5 million individuals’ fingerprints. In India, meanwhile, journalists were able to get access to the country’s entire biometric database, Aadhaar, for the equivalent of $8. And when it comes to privacy, even the most middle of the road advocates might be a bit spooked by the concept of a biometrics gathering system for the entire country. As ZDNet’s Greg Nichols describes it, the idea can seem “anathema to presumed rights of privacy” regardless of intent. What’s more, legal recourse around biometrics use is fairly limited—Illinois’ biometrics law, arguably the strongest around, doesn’t cover phone handling behavior currently used for authentication by banking apps, a method that Edelson PC’s Chris Dore dubbed “an evolution” of biometrics. ➤ Looking Ahead: Despite privacy concerns, the security benefits of biometrics, coupled with technological capabilities, make something like a coast-to-coast collection of facial information and fingerprints seem inevitable. And recourse for security snafus and the like is presently limited. That’s it for this week! Stay tuned for What’s Next! The nature of how DNA works is raising privacy questions about opt-in/opt-out policies at some online websites.